Data 3, a trio would you believe, made up of Dan Hartley (MIDA), Alex Kostykov (Syrum), and Harry Bryson (Bryson). All three got into D&B at a very young age, mainly due to having older siblings and friends. But each of their journeys have been a little different. Alex and Harry were making dubstep for a few years before they met Dan in 2011 and started making Drum and Bass together. Before long Data 3 was formed and they started releasing their first tracks in 2013. Grand Theft Audio, Limitless and Soulvent were among the first to have the pleasure of releasing Data 3’s early work. Instantly these guys got the recognition they deserve with support coming from Radio 1, 1 Xtra and a host of other stations and major players in the D&B scene. Further releases have followed with Skank & Bass, Soul Trader and more recently Addictive Behaviour. After catching wind of the boy’s breakthrough sound we enlisted them for production duties on Rotation – Part Two, our annual various artists album. The trio delivered a monster in their subtle, dark and murky ‘Sleepwalking’ track. With Harry currently living in London, Dan in West Yorkshire and Alex in Manchester, you would think it difficult for the trio to find time to get together in the studio. But Data 3 are a hardworking and dedicated production outfit. Bringing you dark rollers with a simplistic vibe that are easy to dance to with heavy sub lines and dark synths in the mix. This is what they’re all about. 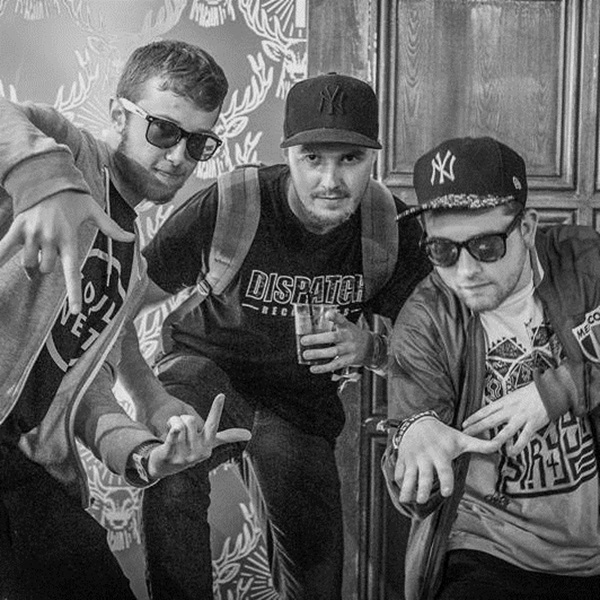 Data 3 are exploding on the scene in a big way so be sure to catch them at your next party.